The debut biography of Townes Van Zandt is a portrait of a sacrifice at the altar of commerce. If you read this debut biography of Fort Worth native Townes Van Zandt — and you need to — the author wants you to understand one thing up front: To Live’s to Fly: The Ballad of the Late, Great Townes Van Zandt is not an exercise in hagiography. In the preface, John Kruth says flatly that he isn’t out to lionize that man whom Bob Dylan once called America’s best songwriter. But, in a way, the lionizing comes through. Not from Kruth, but from his sources. Dan Rather, not an authority on pop music but a native Texan, once said that except for Willie Nelson, “no songwriter in his generation conveys the Texas id better than Townes Van Zandt.” You’ve probably heard Van Zandt’s songs all of your life without knowing it. His work’s been covered by Willie, Guy Clark, Lyle Lovett, Steve Earle, Emmylou Harris, Nanci Griffith, Lucinda Williams, Norah Jones, Cowboy Junkies, and Gillian Welch. He also seems to function as spirit-in-residence for a younger generation of artists that includes the Black Crowes, Bright Eyes, and My Morning Jacket. If you’ve ever heard an achingly beautiful song about the down and out in America and it made your hair stand on end, there’s a good chance that what you heard was a Townes Van Zandt song. There’s a county in East Texas named after Van Zandt’s ancestors. 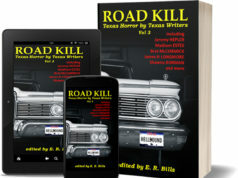 But he was of that generation of Texas artists (circa the early 1960s) who declined to accept assured futures in big oil or big politics, and he had the electroshock-therapy scars on his forehead to prove it. “They tell me I had a happy childhood,” he once said, alluding to the memory loss he suffered after psychiatric treatments. One memory that remained was of his father, a Pure Oil executive, weeping at the kitchen table in Fort Worth, saying, “Son, I had to lay off 300 men today.” The Van Zandts moved away, and Townes went on to graduate from Shattuck, the same military prep school in Minnesota that Marlon Brando attended. 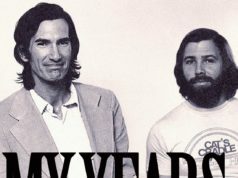 Collected in To Live’s to Fly are many of the deDELETEions of Van Zandt that have appeared elsewhere, including in Rolling Stone and in Margaret Brown’s documentary film Be Here To Love Me. Van Zandt lived much of the ’70s in a cabin outside Nashville without running water or electricity. His care had been left to a music industry “suit” who had remained ensconced in the Chelsea Hotel in New York City. When Willie and Merle’s cover of “Pancho and Lefty” went platinum, Van Zandt confessed to a friend who’d congratulated him that he’d not seen a dime from it. In his later years, Van Zandt was living alone in a modest house that he christened “Bayou Self” (“by yourself,” get it?). The artists who covered Van Zandt’s wonderful handiwork have prospered, but Van Zandt seems to have died virtually penniless, in 1997 at the age of 52, from too many years of subsistence on $300 pay-outs for gigs and an alcohol “maintenance” regimen that scared even big-league drinkers like Steve Earle. “I cut him off when he became a junkie,” said his business manager and Tomato Record mogul Kevin Eggers, who comes across in Kruth’s book as an industry bottom-feeder, a shady hipster who liked to keep his artists conveniently caged in cult niches while he buttered his own bread with oral agreements. The result seemed to be a form of legalized peonage that has persisted even after Van Zandt’s death: So much Van Zandt “product” has been released over the years that his heirs are suing. And if Eggers’ questionable ethics weren’t lethal enough, there was Nashville’s transition from its Mantovani-string phase to its Sgt. Pepper phase, which left Van Zandt virtually stranded in no-man’s land. Marketed by Eggers as “Live and Obscure,” the Texas singer-songwriter barely got by with his songs about raw, honest pain and no prospects. In fact, Van Zandt, late in life, referred to himself as the original punk songwriter. Often paid in cash for playing to crowds of 50 or fewer, he had a private ritual-cleansing habit: On his way home from gigs, he gave fistfuls of the money to the poor on the streets of Austin, Houston, New York, and various points in between. 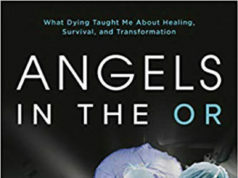 Once, when asked by Mexican customs officials if he had anything to declare, Van Zandt said, “I’m drunk, I’m broke, and my wife is pregnant.” Kruth may have assembled his book mostly from existing source material, but he did it with a jazz player’s loose sense of structure and a songwriter’s ear for the music in human speech. It’s a good, riveting read. A few dominant chords get amplified: Van Zandt’s lyric intelligence, the ravages of pharmaceuticals, the abiding love of the few loved ones he liked to tyrannize. Kruth likes to stand back and let all of the other voices fashion the story for him, without any overt analyses or flights of skilled reportage. 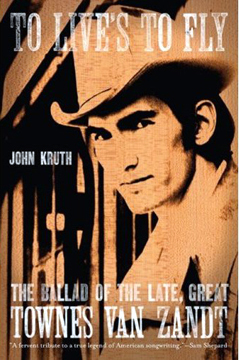 (Perhaps being threatened at knifepoint by Van Zandt’s long-time friend Guy Clark encouraged Kruth’s approach.) Nevertheless, recurrent jazz-like patterns emerge, and there is a distinct, lingering reverb in the room after you finish reading, the buzz and twang of a lot of unanswered questions. This is not a flaw — it’s the function of a first authorized biography to install the signposts for subsequent, in-depth biographers.